I'm a professional AMAZON SEO SPECIALIST and working to increase amazon product/eBook ranking. 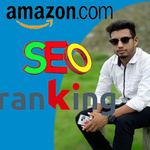 I have done so many amazon related task since 4 years and get 100% success....Read moreI'm a professional AMAZON SEO SPECIALIST and working to increase amazon product/eBook ranking. I have done so many amazon related task since 4 years and get 100% success. I have a good team with professional workers. so, I can take any big project easily. 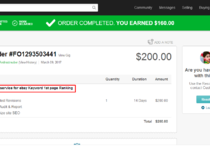 My experience will help to increase amazon product ranking and sales. I always satisfy clients by my hard working and sacrifice.